You've tried many things and have spent so much, but nothing seems to be working? You're a devout Christian, and would never compromise your faith to darkness? Before I explain about who I am, let me explain a bit about who my teacher - Dr. Bradley Nelson - is. ​My name is Cipta Jaya. ​Dr. Bradley is a chiropractor, who happens to also have a degree in computer science. He is a devout Christian, and always start all of his healing sessions with his patients with a prayer to ​our Lord and saviour Jesus Christ. 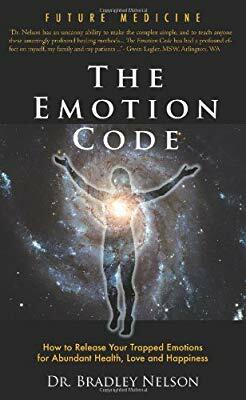 He explained in his book - The Emotion Code - that he was taught about how emotions, as an energy, plays a role in our health by the Holy Spirit. Negative emotions such as anger, fear, worry, sadness, betrayal etc - can sometimes be "lodged" in our body, and it is the energy of that negative emotion that fuels inflammation within the body. Hence the term "trapped emotions". Through a series of simple techniques, we can release those trapped emotions - and thus releasing the energy that fuels the inflammation. By then, the body would be able to heal itself. I myself - just like Dr Bradley - is a strong Christian believer. I believe that we as Christians should never put our faith into darkness, nor "play" with it - as our salvation relies on it. I have been in a journey to study and master the holistic natural healing modalities for more than 2 years now, mainly in the Medical Nutrition field. In order to be of help to others - to those with severe chronic illnesses - I found myself interested in learning about energy medicine and have stumbled upon Dr Bradley's The Emotion Code. (3) It is also based upon sound Biblical principals. You may try to learn The Emotion Code/The Body Code on your own and try to heal yourself - of which I strongly recommend that you do, or you can seek out The Emotion Code/The Body Code practitioners like myself to help you in your healing journey. The Emotion Code/The Body Code falls into the category of energy healing, just like Qi Gong, Pranayam, Reiki, Acupuncture, Hypnotherapy, etc. The word "power" in this verse refers to what today is known as "energy" or "healing energy". I'm not saying that energy healing is the ultimate way of healing, nor that it is the only way. What I'm saying here is perhaps we should consider the possibility that through God, through the Holy Spirit, these "healing energies" can be put for a positive use - to heal ourselves as well as to heal others. but you can contact me for a free consultation.